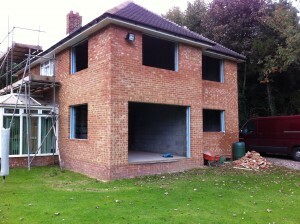 Rather than move house many people choose to have extensions built onto their properties for more space. Let us transform your home with kitchen, lounge, bedroom or dining room extensions at affordable prices. As trusted home extension builders we have been delighting home owners for many years with quality built extensions that look absolutely stunning and make fantastic additional living spaces for all the family to enjoy. We pride ourselves on our expertise by delivering a first-class service to our clients on time and within budget. Use our services to manage your extension project from the beginning so we can have one of our experienced architects draw up your initial plans. They will set to work handling planning and building regulation applications in order for us to begin work. Any type of extension will add value to your home, why not contact us today and make an appointment for someone to call and provide a quote for your extension project?